Firstly, my apologies for this post being late, and to subscribers who may have seen this post come up raw, unfinished and unedited. I’ll do my best to keep that kind of thing from happening again (it’s already happened far too often). 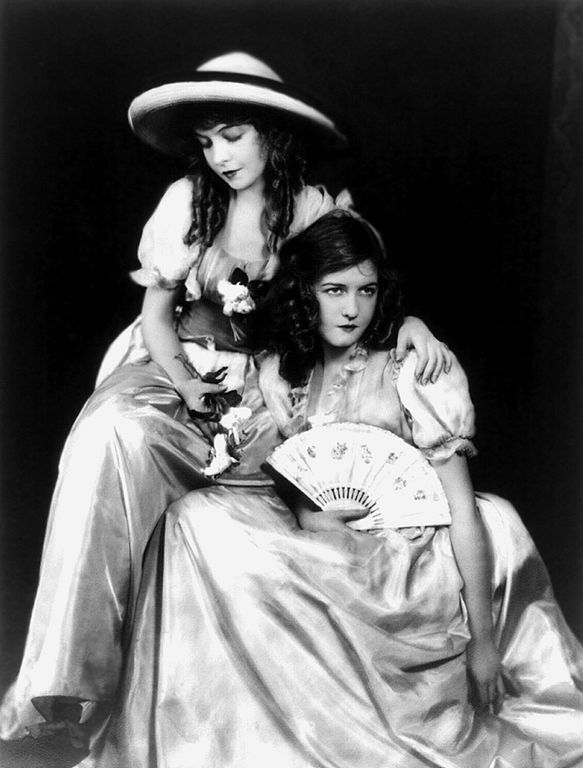 My goal in this post for this blogathon was to through viewing the works of Dorothy and Lillian working together not only come up with a unique angle on their collective filmography, but, also get to know them better. Yes, I know Lillian’s work on Night of the Hunter. Her quote about children is one of my favorite in the annals of film history. However, I can’t claim much knowledge about them. I knew more about them than I did about Louise Fazenda, but not too much. Therefore, a perfect opportunity to learn. If looking at it like a science experiment I used many of the same methods to hunt down the Dorothy and Lillian titles that I did with Louise. Sadly, though The Internet Archive yielded me no results. Youtube did get me the chance to view nine films, however, few featured them very prominently. Those that did will be embedded. I’ve lived long enough to know the whole truth is never found in history texts. Only the people who lived through an era and who are the participants in the drama, as it occurred, know the truth. The people of each generation are the accurate historians of their time. So, no, in this approach only finding a few of the works they did together I can’t be all-encompassing but perhaps there’s something new that can be found. Firstly, almost by accident I watched these films in something resembling chronological order. I searched based on the IMDb list, which sorted them that way and then I created a YouTube play list in the order things were found. 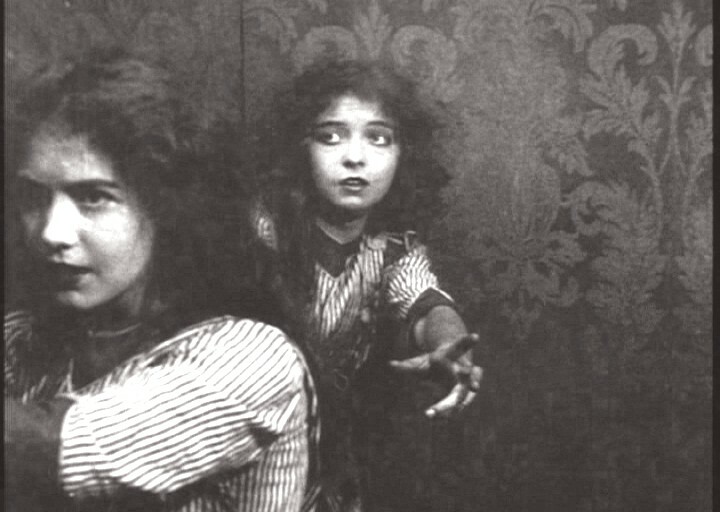 As per the official Lillian Gish site An Unseen Enemy marks her debut. In my note-taking I was a bit more poetical about the ladies’ participation in this film referring to them as “mournful ingenues” rather than “damsels in distress.” However, that’s what it boils down to. There’s nothing atypical about this work from Griffith, not anything exceedingly spectacular save for the fact that it began their association with him and it would prove rather fruitful for both. It was an auspicious start to watching them both because they’re scarcely apart for even a second. In terms of working in tandem The Musketeers Pig Alley is not a prime example as here Lillian plays a significant role and Dorothy plays a small part as “frizzy-haired woman in street,” as would end up being the case quite a bit; as it was Lillian who was regarded as one of the greatest actresses of the silent age, but I was keen to re-examine it after I saw it earlier this year and thought nothing too much of it. What created that turnabout was Scorsese’s mention of it in this brilliant article. The film didn’t appeal to me too much more but the shot he refers too, which was unusual for the time, did. As little as that film has to offer for both of them, Lillian’s physicality does shine through in her contributions to the narrative. Going in chronological order through much of the early small works the sisters both did for Griffith/Biograph did have me rather dejected regarding my hopes of finding something worthwhile. A note to all those writing about film is that one must watch first and find the angle second. Reversing that equation can have very adverse effects on your viewing experience. Giving me little fodder to discuss, but a film I thought was very enjoyable, such that it buoyed me to continue was The New York Hat. Closing out what represented the selections that marked the early part of their careers was an odd little film called Home, Sweet Home. Here these another good scene of the sisters together. As the protagonist (Payne played by Henry B. Walthall) flirts with his sweetheart (Lillian) her sister (Dorothy) get some great reactions while facing away from them. The story is an interesting pre-cursor to what Griffith would later do in Intolerance structurally, though I suspect this is far less successful. The sisters start the film but do go out for a while. If you can stick it out it’s worth taking in. I had difficulty doing so, I must admit. Much as my playlist did for me, I save the best for last for you. This is one of three features that I took in and this one is a long one at over 140 minutes but truly the story is a fairly epic one, but also intimate. Fate, more specifically the events leading up to, during and immediately following the French Revolution; tear apart these two sisters many times over. Louise, played by Dorothy, is blind, and Henriette, played by Lillian, is even more protective of her because of it. You add into the equation things like: it’s another D.W. Griffith work; one of his sprawling, great melodramas and you can see how special this title is without, even factoring in other things like that it was the last time Lillian worked with Griffith and that she suggested the film, as it was based on a popular play. However, the film is not just excellent, but both Lillian and Dorothy are exceptional in it. Playing blind in the silent era is not something I think I’ve been privy to yet so it’s not quite as big as I expected it to be and that’s a credit to Dorothy. The fact that one sister is a caretaker for another is augmented by the genuine sisterly affection that shines through their performances. Here is where you see a citation, much as I alluded to earlier, being personified. Lillian was one of the finest actresses around, but the already more naturalistic style that came in as cameras moved closer to actors was something that she was already more than capable of previously. The litany of scenes and different emotions conveyed by the two in this film is would be quite long if I enumerated them all. However, key in this film is that they each have significant screen time in the film, but much of it is spent separated and in search of one another. Thus, each sister gets her chance to shine. This makes it perhaps a more powerful and impactive film as Lillian’s career continued strongly for years and Dorothy didn’t transition to sound nearly as successfully. The Syndrome of Siblings in entertainment, particularly film, can be a vicious one because whether or not a rivalry does exist; the public, both at large and within an industry, has a tendency to compare. And comparisons can adversely effect the sibling who is generally perceived to be the lesser of the two making an isolated and impartial evaluation hard or impossible to come by. One example of how they both shine is in a fleeting reunion, which can be referred to as this film’s “balcony scene.” For a scene such as that to work both of the actors have to pull it off, especially in a wide angle (which at least a portion of the scene is) and they do, emoting as befits their character. Regardless of how history may recall the Gish sisters individually “the whole truth cannot be found in history texts.” What can still be found are some of their works. I did, through my limited exposure in the past, come to post with a hierarchy in mind, but as I saw the first short with faces so similar and performances virtually on par it made me wonder about that – even identifying them become difficult in these version. Perhaps what it illustrates is that both were better together, and Lillian was more capable when they were not paired. Yet, I can’t help but think bigger than that. For film is collaborative art: without Lillian Griffith doesn’t have Orphans of the Storm to his credit; without Dorothy Lillian may not even think to suggest it; without each other they can’t deliver the performances they do. And then, what of us, filmmakers and lovers both, where are we without both of them, without our ability to enjoy and learn from them? It may be impossible to quantify, but thankfully one needn’t answer that question but can merely enjoy what they have contributed. I like the way you presented your observations. Thank you for sharing. What a great post! I enjoyed The New York Hat a lot, too, yet this is more a Mary Pickford vehicle. And you’re right about Orphans of the Stomr: the magnificency of the film wouldn’t be possible without the two sisters. It absolutely is a Pickford vehicle, I was considering alternate posts just to mention some things I left out that were asides to discussing the sisters. I’ll be sure to check yours out, I’m still behind but love reading blogathons I join. Hi there! My turn to apologize for lateness. Really enjoyed the article. It was fun to read your observations on the sisters’ career. You’re absolutely right, the public tends to create sibling rivalry even when there is none. The Gishes were both amazing in Orphans, I don’t think anyone else could have done as well. Thanks for taking part in the blogathon! You’re welcome. Thanks for having me. No worries about the late comment. I have this and my prior blogathon participation to do some reading in yet.